There are 6 key elements that make up your brand story or identity. In this exercise, we’ll walk you through each of these elements to help you create and define what your brand is about. This is the most important part of any branding project. After you've completed this exercise, you will have a completed Brand Story Brief. That Brand Story Brief will be the foundation and guide for everything you do in your business. You can signup to download the worksheets that go with this exercise, along with the complete Branding Field Guide at the bottom of this page. According to Sinek, the the most innovative, successful people and companies start by defining their 'Why.' The Why is their mission, or reason for being. For example, The ‘Why’ behind Tom’s Shoes and Warby Parker is a socially conscious one. Tom’s donates shoes to people in need, and Warby Parker donates glasses to people who don’t have access to eye care. What is the purpose and the motivation behind what you do? What do you believe? What gets you up in the morning and gets you excited? Start with some “I believe/we believe” statements. When doing this also keep in mind the following: more importantly, why should anyone care? Your Why needs to connect with the market you are trying to reach. In a world where no one ‘needs’ what you have to offer, you have to have something that makes you different in order to stand out. What’s the one thing you want to be known for that differentiates you from everyone else? Why should someone choose you over a competitor? You will never be noticed if all you are doing is the same thing that everyone else is doing. Your Why is a big part of what makes you different. Two of the best books on this subject are Purple Cow by Seth Godin and Blue Ocean Strategy by W. Chan Kim and Renée Mauborgne. Blue Ocean is about looking for opportunities. Trying to compete with competitors in an overcrowded marketplace and fighting over a shrinking customer pool results in nothing but a bloody red ocean. Instead of playing the same game as your competitors you should be looking for Blue Oceans of growth. By creating a new space in the market and unique differentiator, the competition is irrelevant. Purple Cow is about making your brand more remarkable. "Cows, after you've seen them for awhile, are boring. They may be well-bred cows, Six Sigma cows, cows lit by a beautiful light, but they are still boring. A Purple Cow, though: Now, that would really stand out. 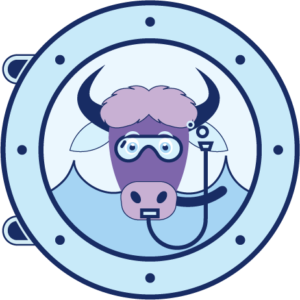 The essence of the Purple Cow — the reason it would shine among a crowd of perfectly competent, even undeniably excellent cows — is that it would be remarkable. Something remarkable is worth talking about, worth paying attention to. Boring stuff quickly becomes invisible. Your differentiator is your unique value promise. Think of it as your 'elevator' speech, or short unique description of what you do. Like a short statement based on this template. Action Item: Write a short differentiation statement Why should people choose you? Where are the opportunities in your market? What makes you different? Being about something means you have very distinctive values. What do you stand for? A value should be something you live by. Many successful brands rally their customers around shared values. When customers choose a particular brand over another, they are buying the values that are important to them. Lululemon’s manifesto is an example of their brand values. Warby Parker has a list of their values on their website as well. Does it feel compelling to you – could you live this every day in both your business and personal life? Will it mean anything to your ideal clients? Does it make you different? Your brand personality is your voice, tone, style and the more detailed traits of your brand. This video presentation by Kate Spade's CMO is one of the best lessons on how to create a brand voice that resonates with your customers. Kate Spade’s brand voice reflects its target customers’ lifestyles, and they infuse that into everything they do on social media and in person. 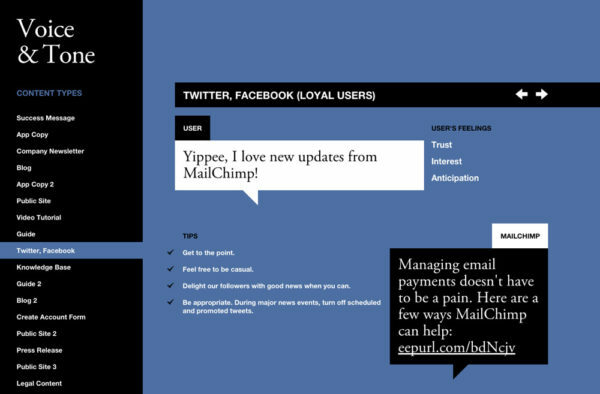 MailChimp’s Voice and Tone Guide is a fantastic example of how they infuse their personality throughout their communication and content. 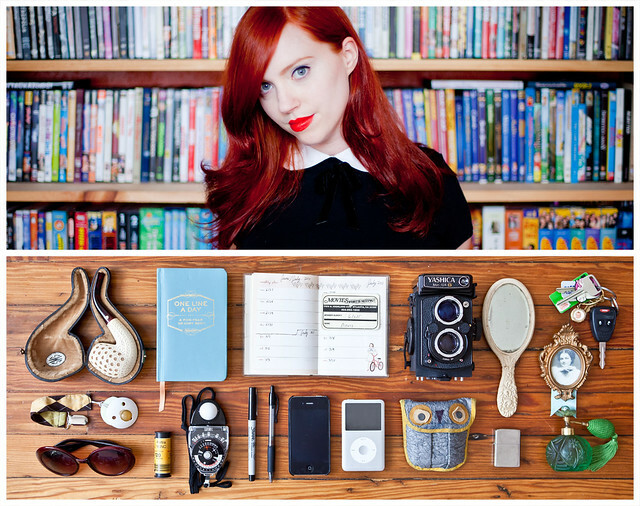 Another way to define your brand and personality is through archetypes. Archetypes can help define who you are and help you connect with customers on an emotional level. The presentation below is based on the book: The Hero and the Outlaw: Building Extraordinary Brands Through the Power of Archetypes. It's an excellent resource for creating and defining your own brand archetypes. 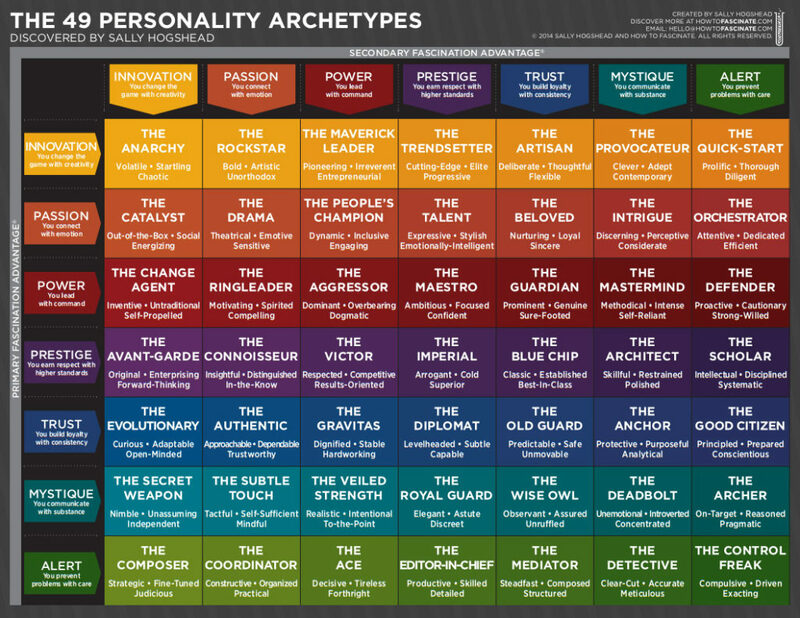 Sally Hogshead's 49 Personality Archetype Matrix is another great tool for helping you figure out both your personal and business brand. Are you friendly? Fashionable? Creative? Rebellious? Fun? Crazy? What words describe you? What’s your tone of voice – funny, serious, clever, cool, in-your-face? A key part of your brand story is knowing exactly who your ideal customer is. No one can successfully target everyone (or they will end up reaching no one). Creating a detailed target customer profile, or persona, gives a face and personality to your target customer. Really knowing who you want to target will help you reach the right audience with your marketing. Creating a profile should go beyond just basic demographics, and should focus on their emotional needs and drivers. Free People’s brand story is created around the experience of being a Free People Girl, who is their target customer. “The Free People Girl is a 26-year-old girl, smart, creative, confident and comfortable in all aspects of her being, free and adventurous, sweet to tough to tomboy to romantic. A girl who likes to keep busy and push life to its limits, with traveling and hanging out and everything in between. Who loves Donovan as much as she loves The Dears, and can’t resist petting any dog that passes her by on the street. Free People uses their blog and social media as a place where their Free People Girl can be a part of that story. Everything they share, each image, blog post, video or social update is relevant to her, and it connects her with their brand. “Building 25 is where the magic of Free People happens. In the Navy Yard on the edge of Philadelphia a cluster of renovated warehouses sit alongside the Delaware River, and in one of them a group of young, fashionable, creative people – mostly women – delve into the details of living the life of the Free People girl. We sort through fabric swatches, take photos, share ideas, video, art, food and culture, and travel the world in search of inspiration to create fashion that reflects our creative, independent, impressively-bold and free-spirited FP girl. Kate Spade’s brand story is created around the experience of their target customer persona, the Kate Spade New York Girl. "She is a Young Professional in a city: maybe in the public eye, maybe a writer, a docent, or program director at a charitable organization. She is invested in her work. She loves Art and Entertainment, is engaged in Fashion, and is Culturally Curious. She is a Downtown girl with an Uptown sensibility. Jason Travis’ created photographic personality profiles of his subjects. Jason Travis also worked with MailChimp to create posters that represented their customer personas. The posters were displayed in their offices, with that by doing so their ideal customer will always stay in the front of people’s minds. Create a profile of your ideal customer that goes beyond just basic demographics. Think behavior and psychographics, as well as emotional drivers. Your Why. Focus on their likes and dislikes, their problems and solutions, and not just on their features (though these are important as well). You need to describe your ideal target customer in such a way that it seems like an actual, real person – or persona. If your brand was a person, who would that person be? Where do they hangout online and off? Are they active in social causes (if so, what)? How do they feel about the future/what are their plans? What are their frustrations - what are they not getting that they want or need? What are their trigger words? i.e. Free, Cool, Latest, etc. What brands and companies do they like/trust/believe in? What drives them to ‘want’ something? What else can you think of to describe your ideal customer? What would your ideal client say about you after any interaction with you? Your brand story is one of the most important things you can do for your business. It’s the foundation for success in everything you do. Even if you’re just getting started and you don’t have lot of money to hire a professional to design your brand, having a story will help you connect with the right client. Which will help your business grow much faster. If you haven't already done so, download the free worksheets that go with this exercise, along with the complete Branding Field Guide at the bottom of this page.